The Moon Meteor Auto combines a compact chassis with superior light output making it ideal for every day commuting, whichever route you take. The Moon Crescent rear light provides amazing light output from a small and lightweight unit. The design allows for the light to be seen from all angles so providing side on visibility. The lights are fantastic, bright and also rechargable, no battery juggling anymore. Only bad is the "quick" clip: both are sitting much tighter than the holder on the bike (a rubber strap), which especially for the rear light - one has to hold the holder and fiddle a lot with the other hand to get it off. I figured now it is much easier to remove the whole lamp from the bike, including holder. Not ideal but works! Lights have move on a bit! 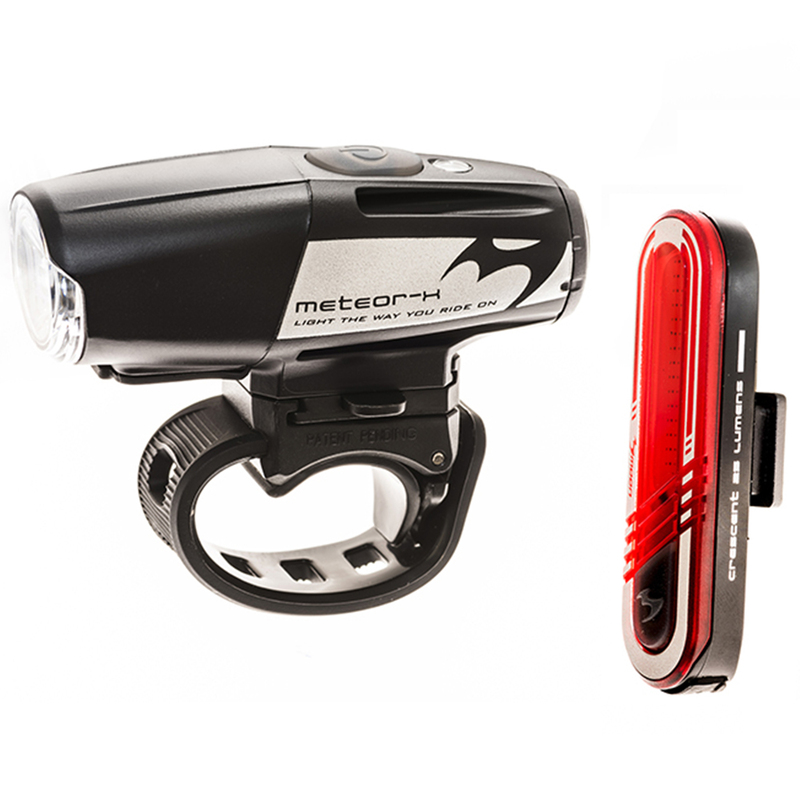 The Moon Meteor is compact, light and creates a fantastically bight light. Crescent rear light is tiny, weighs nothing and does the job superbly. Both charge surprisingly quickly with the provided usb cables and battery life has been fantastic. The lights are so unobtrusive that they practically stay on the bike and are used on country roads just as much during the day as marker/warning lights as during the evening.